KPI leverages full-cycle onshore teams to create a "blended shore" resourcing model. 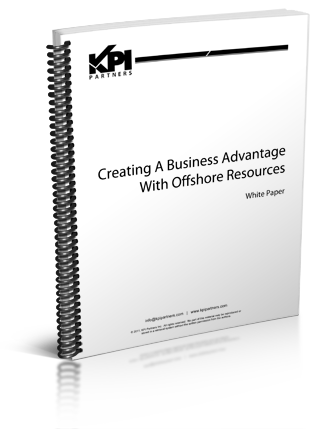 Offshore resources provide expertise in decision support technology and work within the centralized KPI Partners Offshore Technology Center. Our blended resourcing model enables world class scalable services for a cost effective investment. KPI Partners operates two dedicated off-shore technology centers in Bangalore and Hyderabad. These centers help support KPI's blended shore resourcing model. The blended shore model consists of on-site specialists and offshore resources. All staff members within each technology center are specialists in Analytics, BI, Data Integration, Cloud Services, ERP, and CRM technology. 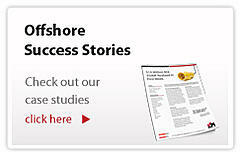 Cost savings was the primary reason US clients began to adopt the offshore model in the early 1990s. The major drivers in the past few years have gone way beyond cost.